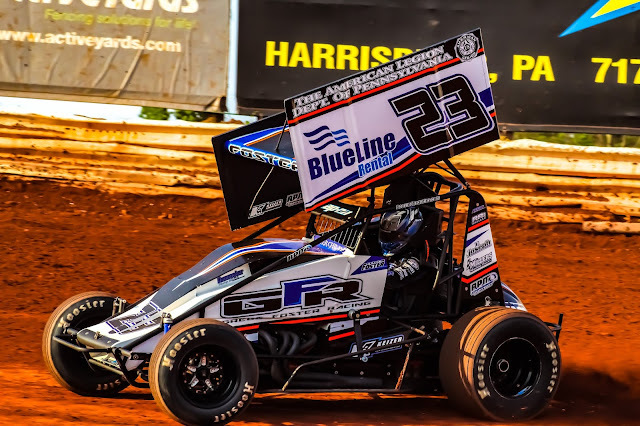 CENTRAL PA RACING SCENE: Justin Foster picks up 1st career Super Sportsman feature win at BPAS Motor Speedway, Greg Hodnett holds on to claim 1st of the year in the 410 feature event. Justin Foster picks up 1st career Super Sportsman feature win at BPAS Motor Speedway, Greg Hodnett holds on to claim 1st of the year in the 410 feature event. 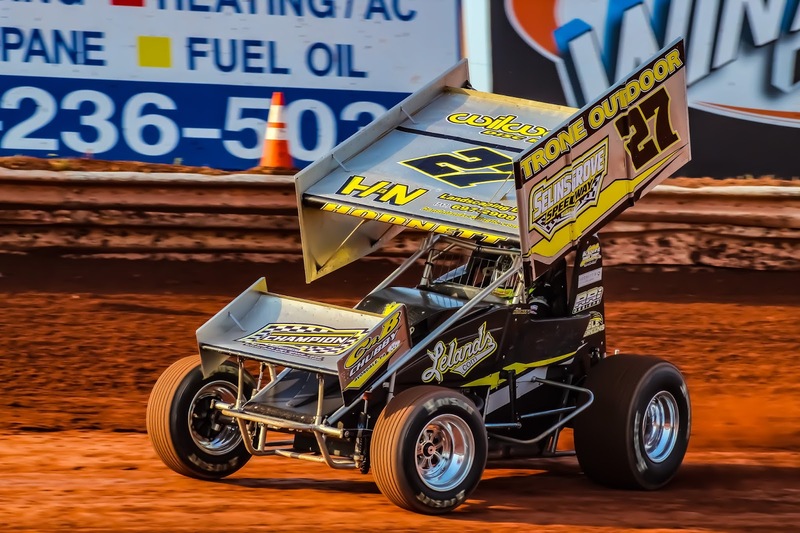 YORK HAVEN, Pa.: Justin Foster sat on the frontstretch before the start of the Super Sportsman main event Sunday night and knew it was time to get this done. Getting his first career victory in the division at BAPS Motor Speedway had little to do with personal achievement. For Foster, it was about rewarding his crew and his family, who put so much into his racing operation. Foster did one better than honoring his crew and family. He collected his first career win at the speedway by beating the best in the Super Sportsman division, Scott Dellinger, in the 25-lap feature. “Finally,” Foster said. “My crew deserved this so bad. I have the best car owner in the business, my dad. He gives me every ounce that I ask for. Tom sacrifices more time than anyone with us. He’s there every night at the shop. And Chris, he couldn’t make it, because his dog is pretty sick … I can’t thank them enough. Foster ripped around the curb in Turns 1 and 2 to pass Matt Ondek on a Lap 2 restart. He dominated through multiple caution periods and was unchallenged through the first 15 laps of the event. Dellinger, the point leader at the speedway, entered the mix on a Lap 17 restart. He won a three-wide battle, that included Frankie Herr and Doug Dodson, going down the backstretch and into Turn 3 to take over the third position. Three laps later, Dellinger slid Timmie Barrick in Turns 3 and 4 for second. Still, Foster was out front with five to go and in good shape to score the victory. That changed on Lap 23 when Dodson stopped in the second corner. It gave Dellinger a clear shot at the leader on the double-file restart with three laps to go. Foster rocketed off the line on the restart and beat Dellinger to Turn 1. He shot to the bottom to take the line away and drifted up in Turn 2 to open up a four car-length lead. Dellinger didn’t go away. He had one last shot on the final circuit, but Foster was up to task, holding the lead out of Turn 4 and all the way to the flagstand for the win. “I know how fast he is by the end of the chute, and I knew if I held the bottom, there, and maybe diamoned through the middle, I could shut him down on the inside," Foster said. "It must have worked, Thank, God. Dellinger finished second, with Barrick holding third. Kenny Edkin was hard charger in the event, coming from 14th to fourth, with Herr completing the top five. Ondek, Foster, and Dodson were heat winners for the 26-car field. In the Sprint Car main event, Greg Hodnett shook off his second-place rut and recorded the victory in the 30-lap main event. “It’s becoming a common theme,” Hodnett said of finishing second twice over the weekend and six times in his last 12 events. “It just makes you mad. It means I’m not doing my job. There is no excuse, if you are good enough to lead, you got to figure out how to make the car better at the end of the race. Gerard McIntyre Jr. got the jump on Hodnett at the start, but the caution was displayed for Bradley Howard, who spun in Turn 4. The second attempt at a start was called back when officials nailed Cale Conley for leaving early. Hodnett took advantage of the third opportunity and took the lead entering the first corner. Lucas Wolfe started third and took second from McIntyre in Turns 1 and 2 on Lap 7. He reeled in Hodnett and started challenging for the top spot on Lap 14. Hodnett moved to the bottom and held the lead. Wolfe challenged a couple of more times over the last 16 laps, but the Spring Grove driver went to the bottom and pulled away for a 2.442-secon win. Wolfe finished second, followed by Conley. Anthony Macri came up to second, with McIntyre completing the top five. Macri and Kyle Moody were heat winners for the 14-car Sprint Car field. “Maybe it’s just me or us, but I see other guys win, and they’re happier than a pig in slop,” Hodnett said. “When I win, I’m relieved, because I can keep my job for another week. “It’s just a different mindset, or a different set of circumstances we’re in, because literally, you are expected to win. When you do, I hate to say it, but it’s more of a relief than joy. If we don’t win, everybody questions you. 410 Sprint Feature Finish, 30 Laps: 1. Greg Hodnett; 2. Lucas Wolfe; 3. Cale Conley; 4. Anthony Macri; 5. Gerard McIntyre Jr.; 6. Kyle Moody; 7. Dan Shetler; 8. Tyler Ross; 9. Austin Burke; 10. James McFadden; 11. Dwight Leppo; 12. Bradley Howard; 13. Brett Michalski; 14. Greg Plank. Super Sportsman Feature Finish, 25 Laps: 1. Justin Foster; 2. Scott Dellinger; 3. Timmie Barrick; 4. Kenny Edkin; 5. Frankie Herr; 6. Jay Fannasy; 7. Davey Walsh; 8. Matt Ondek; 9. Garrett Williamson; 10. Chase Gutshall; 11. Nate Young; 12. Paul Miller; 13. Tom Wychoff; 14. John Edkin; 15. JR Fogelsonger; 16. Daniel John; 17. Doug Dodson; 18. Lue Deatrick; 19. Mike Enders; 20. Adam Wray; 21. Mike Potts; 22. Chris Meleason; 23. Todd Leonard; 24. Russ Mitten.